Here at Bespoke Door Installation, the genuine door stop doors that we supply and fit across the region are available in a wide range of styles covering everything from traditional to contemporary. 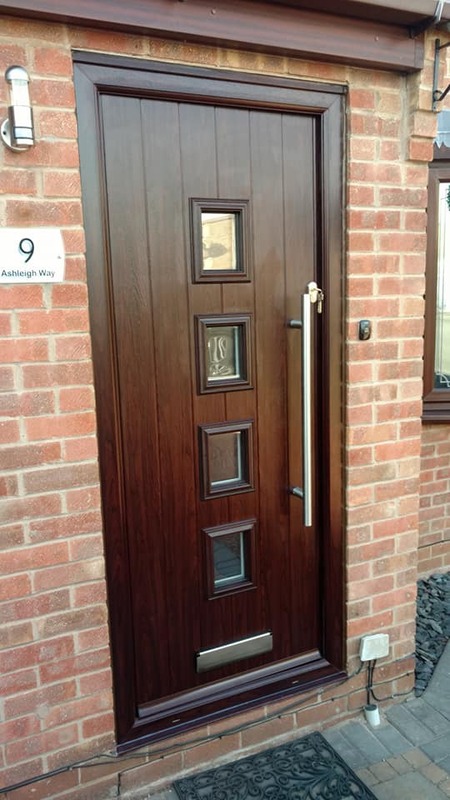 One of our recent favourites is this Rosewood composite door fitted in Forest Town by our door installers. As is always the case, this door was completely bespoke to the customers tastes, having been designed to their exact desires and specifications using our simple yet in depth door designer tool. This time, the customer chose a rosewood styled door featuring 4 square windows, silver letterplate and a short bar contemporary handle. As it was a composite door, it also provided the home owner with a range of other fantastic benefits such as durability, security and energy efficiency. Composite doors are one of the best available when it comes to prevent draughts and helping to keep your home a comfortable temperature. Furthermore, as part of our own secure guarantee, the homeowner will receive £500 of cashback if the door is ever broken in the event of a break in. 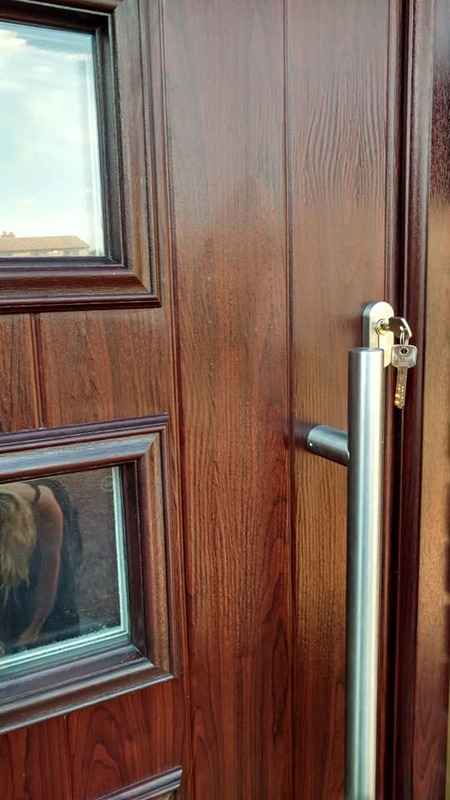 That is how confident we are that our police tested composite doors and Yale locking systems will not be breached. 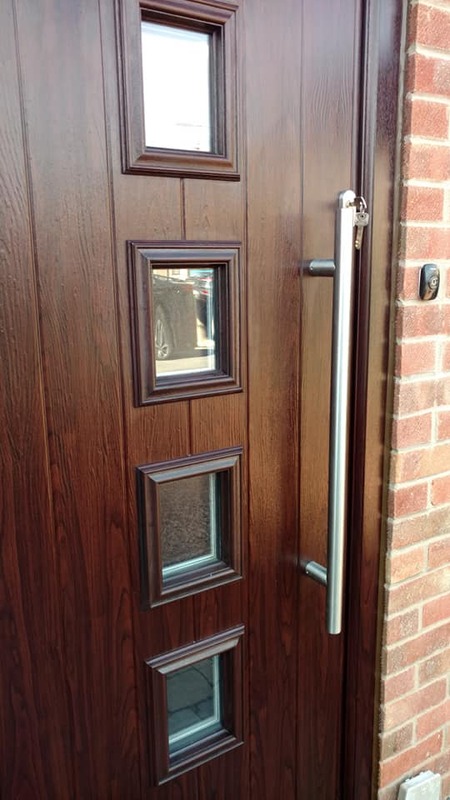 See below for some photos of the fabulous rosewood composite door supplied & fitted in Forest Town by our team. For more information regarding the genuine door stop doors fitted in Forest Town by our team, please don’t hesitate to give us a call today on 01623 325000, or why not give our design a door tool a go and create your very own bespoke door.